Why don’t they combine both Clinton Town (1.4 sq. mi.) and Clinton Township (33.8 sq. mi.)? We feel it’s a ludicrous situation to have two similar named towns right next to each other – EACH WITH THEIR OWN GOVERNMENT! We do not care. Both are considered “Clinton” to us. However – we still need to separate them here. What a pain. Anyway, Clinton (TOWN) marks the start of the western edge of our NJ Route 22 Central Zone, and also includes Route 173 (or “old Route 22,”) as well as Route 31, and of course Route 78 / Route 22. Clinton is a town in Hunterdon County, New Jersey, the United States, located along the South Branch of the Raritan River. As of the 2010 United States Census, the town’s population was 2,719, reflecting an increase of 87 (+3.3%) from the 2,632 counted in the 2000 Census, which had in turn increased by 578 (+28.1%) from the 2,054 counted in the 1990 Census. When the Clinton post office was established in 1829, it was named for DeWitt Clinton, Governor of New York and the primary impetus behind the then-newly completed Erie Canal. Clinton was incorporated as a town by an act of the New Jersey Legislature on April 5, 1865, within portions of Clinton, Franklin, and Union Townships. Clinton gained full independence from its three parent townships in 1895. The town is perhaps best known for its two mills which sit on opposite banks of the South Branch Raritan River. The Red Mill, with its historic village, dates back to 1810 with the development of a mill for wool processing. Across the river sits the Stone Mill, home of the Hunterdon Art Museum for Contemporary Craft and Design, located in a former gristmill that had been reconstructed in 1836 and operated continuously until 1936. In 1952, a group of local residents conceived of a plan to convert the historic building into an art museum, which is still in operation today. According to the United States Census Bureau, the town had a total area of 1.417 square miles (3.670 km), including 1.338 square miles (3.465 km) of land and 0.079 square miles (0.205 km) of water (5.59%). The town borders Clinton Township, Franklin Township, and Union Township. Clinton is considered an exurb of New York City, as Hunterdon County lies on the western fringe of the New York City Metropolitan Area, which is mainly rural with scattered housing developments and old farm homes. Clinton is part of the Primary Metropolitan Statistical Area of Middlesex, Somerset and Hunterdon counties in New Jersey. It serves as a “bedroom community” for many commuters working in and around Northern New Jersey and New York City, often younger residents who have supplanted long-time residents of Clinton. At the 2010 United States Census, there were 2,719 people, 1,057 households, and 727.2 families residing in the town. The population density was 2,032.6 per square mile (784.8/km). There were 1,098 housing units at an average density of 820.8 per square mile (316.9/km). The racial makeup of the town was 89.52% (2,434) White, 1.32% (36) Black or African American, 0.22% (6) Native American, 6.66% (181) Asian, 0.00% (0) Pacific Islander, 0.63% (17) from other races, and 1.66% (45) from two or more races. Hispanics or Latinos of any race were 6.22% (169) of the population. There were 1,057 households, of which 37.0% had children under the age of 18 living with them, 55.2% were married couples living together, 9.7% had a female householder with no husband present, and 31.2% were non-families. 25.4% of all households were made up of individuals, and 8.8% had someone living alone who was 65 years of age or older. The average household size was 2.57 and the average family size was 3.14. In the town, 26.0% of the population were under the age of 18, 6.1% from 18 to 24, 27.6% from 25 to 44, 28.8% from 45 to 64, and 11.5% who were 65 years of age or older. The median age was 39.6 years. For every 100 females, there were 94.8 males. For every 100 females age 18 and over, there were 92.8 males. The Census Bureau’s 2006-2010 American Community Survey showed that (in 2010 inflation-adjusted dollars) median household income was $83,850 (with a margin of error of +/- $12,019) and the median family income was $109,375 (+/- $19,698). Males had a median income of $62,697 (+/- $9,258) versus $67,014 (+/- $13,316) for females. The per capita income for the borough was $43,354 (+/- $4,395). About 2.6% of families and 3.2% of the population were below the poverty line, including 2.0% of those under age 18 and 11.9% of those age 65 or over. The construction company Foster Wheeler has its operational headquarters in Clinton. The Red Mill Museum Village is located on the South Branch of the Raritan River in the town center of Clinton. Built in 1810, the Red Mill originally served as a woolen mill. Over the next 100 years, the Mill was used at different times to process grains, plaster, talc and graphite. The Mill was also used to produce peach baskets, as well as to generate electricity and pump water for the town. Every October, The mill is transformed into a haunted house given the title, the Red Mill Haunted Village. The Haunted Village tends to attract visitors from all over the east coast to the small town. The Red Mill Museum Village was featured on an episode of Ghost Hunters in 2008. The Hunterdon Art Museum (7 Lower Center Street) is located in a mill established in 1836 and offers exhibitions of contemporary art, craft and design, docent tours and over 200 education programs for adults and children. Landsdown Trail, a spur line constructed for the Lehigh Valley Railroad in 1881 that is now a graded rail trail starting about 2 miles (3.2 km) south of Clinton on Landsdown Road that enters Clinton town center near the lumber yard. Spruce Run Recreation Area (Van Syckel’s Road, Clinton, NJ): 1,961 acres (7.94 km), picnicking, boating, fishing and seasonal camping. Open year-round. Round Valley Recreation Area (Lebanon-Stanton Road, Lebanon, NJ) offers wilderness camping, beaches, trails, fishing, and boating. Clinton Fire Department (CFD) is located on the corner of New Street / Old Route 22 in Clinton. About 15% of the department’s calls annually involve actual fire, while the rest of the CFD’s calls are roughly broken down into 15% motor vehicle accidents, 15% hazardous conditions, 5% service calls, 25% good intent calls with no fire found and 25% alarm activations/false alarms, averaging about 190 calls annually. The department offers three types of membership namely Active firefighter, Junior firefighter and Associate membership to prospective members. The department runs mutual aid calls with Annandale Hose Company, High Bridge Fire Department, Quakertown Fire Company, Lebanon Fire Company and Pattenburg Fire Company and other fire departments in Hunterdon Country, which have become an invaluable resource for large incidents. The Division of Fire is a municipal fire department and is responsible for all fire-related incidents in the Township. The personnel is provided by the all-volunteer Annandale Hose Company #1. There are two fire stations. One is located at 68 Beaver Avenue and the second is located at 1215 Route 31 South. Our apparatus consists of four engines, two command vehicles, one tower ladder, one tanker, and two brush trucks. The department covers an area of over 30 square miles and responds to around 500 incidents each year. The department has 45 active members who respond to calls. Each new member is trained to State Firefighter standards and equipped to meet national standards. Our members put in hundreds of hours each year in classes, training, and drills. They are always seeking volunteers not only for firefighting but also for other administrative duties. As of July 2015, the town had a total of 12.21 miles (19.65 km) of roadways, of which 8.72 miles (14.03 km) were maintained by the municipality and 3.49 miles (5.62 km) by the New Jersey Department of Transportation. The Town of Clinton is situated off Route 31, which is in turn off of Interstate 78/U.S. 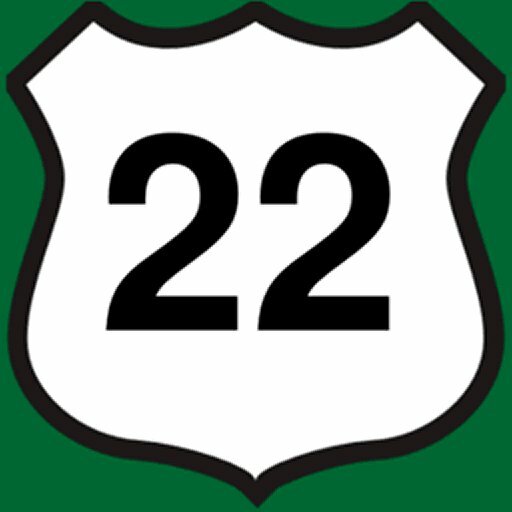 Route 22 via Exits 16 and 17. Route 173 and County Road 513 runs through the center of town. Convenient access to Interstate 78 provides Clinton with a convenient route to and from New York City and the Lehigh Valley in Pennsylvania. Philadelphia can also be easily accessed from Clinton via New Jersey Route 31 to Interstate 95 South. Trans-Bridge Lines offers buses on a route that provides service from Allentown and Bethlehem, Pennsylvania to the Port Authority Bus Terminal in Midtown Manhattan and New York City-area airports at a stop at the park-and-ride on Route 31 in Clinton. Limited NJ Transit Rail is also accessible at the Annandale station on the Raritan Valley Line. Public transportation is very limited. The LINK, which serves Hunterdon County is the only traditional, publicly funded mode of transportation. Fares range from about $2.00 to $10.00. Funding for the operation of the Hunterdon County LINK System is provided by Hunterdon County, New Jersey Transit, and the Federal Transit Administration. Several movies have used the town as a backdrop, including In and Out with Kevin Kline, One True Thing with Renée Zellweger and Meryl Streep, My Giant with Billy Crystal, and Turbulence with Ray Liotta. The town was featured on The Daily Show, which interviewed a local resident who was campaigning to have the town’s name changed to Reagan after the Republican President of the United States Ronald Reagan, during the Clinton Administration. The CBS-TV daytime drama As the World Turns taped scenes at businesses along Main Street in 2008 and 2009. John T. Bird (1829–1911), represented New Jersey’s 3rd congressional district from 1869 to 1873. Anna Case (1888–1984), a soprano who recorded with Thomas Edison. Sharon van Etten (born 1981), singer, songwriter. Foster McGowan Voorhees (1856-1927), Governor of New Jersey from 1899 to 1902.